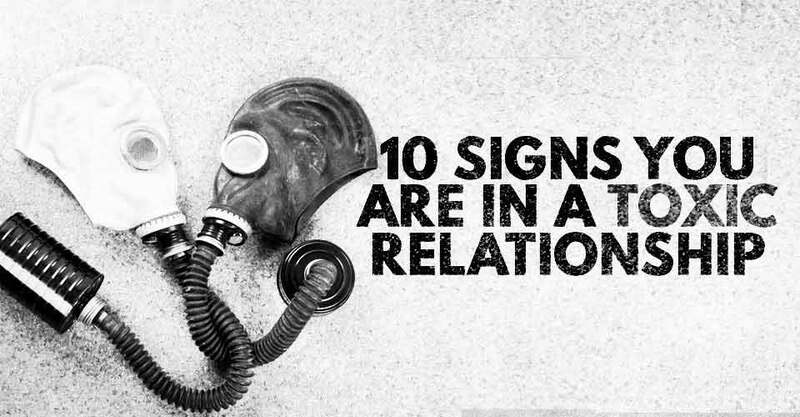 It’s deceptively easy to get trapped in a toxic relationship. In fact, many people remain in denial well past the point when real damage begins to happen. Even toxic relationships have their happy moments, after all. However, when you begin to lose yourself and compromise your own sense of integrity, it’s time to re-evaluate – no matter how great the good times are. 1. You feel like you can’t do anything right. If you feel this way, your partner is likely taking your good qualities for granted and focusing on your flaws. Nobody is perfect, but in a healthy relationship, your significant other will support you and make you feel good about yourself. A partner who chips away at your self-esteem is not worth keeping around. Find someone who makes you feel like you can conquer the world. 2. You find yourself avoiding your partner – or you catch them avoiding you. Taking some time to be alone is healthy. However, if you genuinely dread spending time with your significant other, it may be time to call it quits. Happy couples treasure their time together. Find someone you enjoy being around. 3. Your partner’s happiness is more important than your own. Trying desperately to please someone in the hope that they’ll stick around is exhausting and sad. More importantly, it teaches you to devalue your own happiness. Find a partner who realizes that your happiness is as important as their own. A good relationship should go both ways. 4. You’re not allowed to grow. People change. If you’re lucky, you will mature and improve as you do so. A partner who is insecure may discourage this, and if you give in to this mindset you could end up sacrificing a valuable part of your identity. Find someone who supports you and takes pride in the person you want to become. 5. You (or your partner) suffer from a major jealous streak. Excessive jealousy is a huge red flag in a relationship. It signifies insecurity, immaturity, and a lack of trust. If a jealous outburst is the only way your partner shows you that he loves you, it is absolutely time to kick him to the curb. He is not being romantic, and he is not being passionate. He is throwing a tantrum like a child. 6. You romanticize the past instead of looking toward the future. This is a subtle sign of dysfunction, but a very important one. Even in a healthy relationship, it is fun to look back on the carefree early days. However, if this isn’t accompanied by daydreams about what the future might hold, it could be a sign that your best days are indeed behind you. Falling in love is easy. Staying in love is harder. 7. You have the same arguments over and over again. If you are repeating an argument, that means nothing got resolved the first time. This is a sign of a larger problem. Arguing without resolving anything means that you are not communicating well. Either you are fighting just to fight, or you are not listening to one another. Either way, you are not addressing your conflicts in a healthy way. 8. You habitually lie to one another. If you are lying to your partner, it means one of two things. Either you are doing something you know is not okay, or you do not trust them to understand something you are doing that you do feel is okay. Either way, there is no trust in your partnership. 9. You feel yourself become tense around your significant other. Your relationship should feel like a soft place to fall after a long day. It’s normal to feel uneasy while you are fighting, but if this is the everyday tone of your partnership it is definitely time to end things. 10. You don’t feel like yourself. This is a major sign that you are compromising your identity or your integrity for the sake of your relationship. This is not a fair or healthy compromise to make. You need to be free to find your best self, rather than chasing the version of you that your partner wants you to be. Hugh Mackay once said “Nothing is perfect. Life is messy. Relationships are complex. Outcomes are uncertain. People are irrational.” No relationship is perfect, and no partner is happy and satisfied one hundred percent of the time. However, there is a big difference between healthy compromise and losing your identity. Don’t count on your relationship to make you whole – but by all means, find one that allows you to strive for wholeness, happiness, and life satisfaction. You deserve it.